Henrietta Lacks a poor Southern tobacco farmer was buried in an unmarked grave sixty years ago. 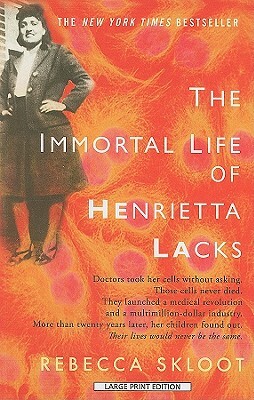 Yet her cells -- taken without her knowledge grown in culture and bought and sold by the billions -- became one of the most important tools in medical research. Rebecca Skloot takes us on an extraordinary journey from the "colored" ward of Johns Hopkins Hospital in the 1950s to East Baltimore today where Henrietta's family struggles with her legacy.